This is why the ruling class can’t have nice things. 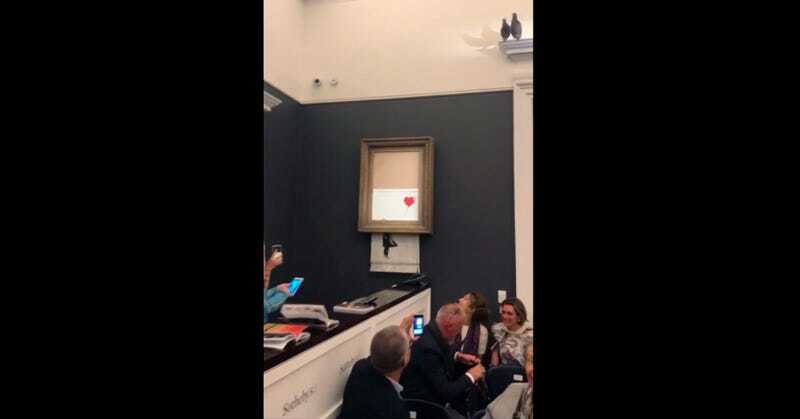 On Friday, at Sotheby’s in London, a Banksy work, “Girl with Balloon,” that had just been sold at auction for $1.4 million began, moments later, to self-destruct by running itself through a shredder, which was hidden in the frame. As you can tell from the artist’s Instagram post about the stunt, Banksy has a keen interest in anti-establishing word play. “The urge to destroy is also a creative urge,” is what Banksy captioned a second Instagram post, quoting Picasso.